Here we have a set of handlebar clamps as fitted to Druid forks on Sunbeams up to 1929'ish. 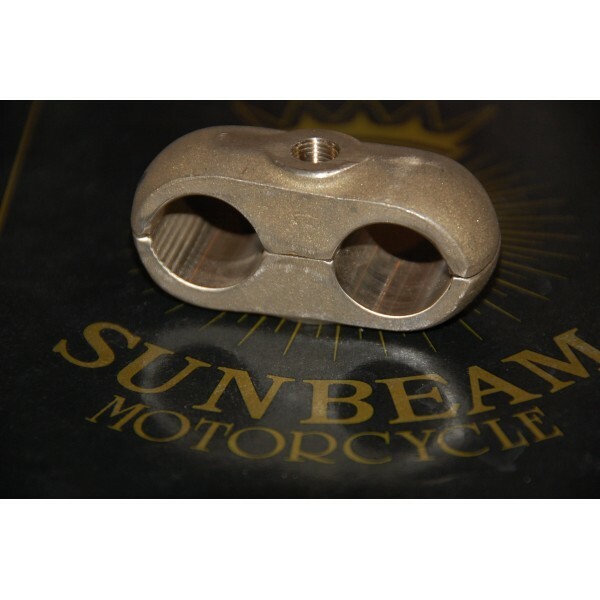 These have been cast using an original Sunbeam item as a pattern and they have been drilled, tapped and machined ready to fit the 7/8" handlebar/top yoke. Just need paint and some suitable bolts. The price is for two complete clamps i.e. enough for one bike.